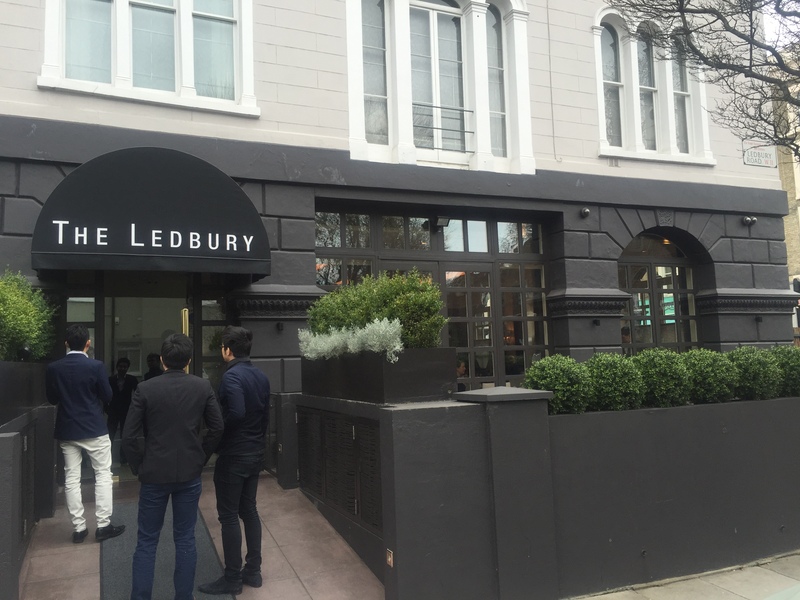 The Ledbury is a two Michelin restaurant by Australian born Brett Graham. 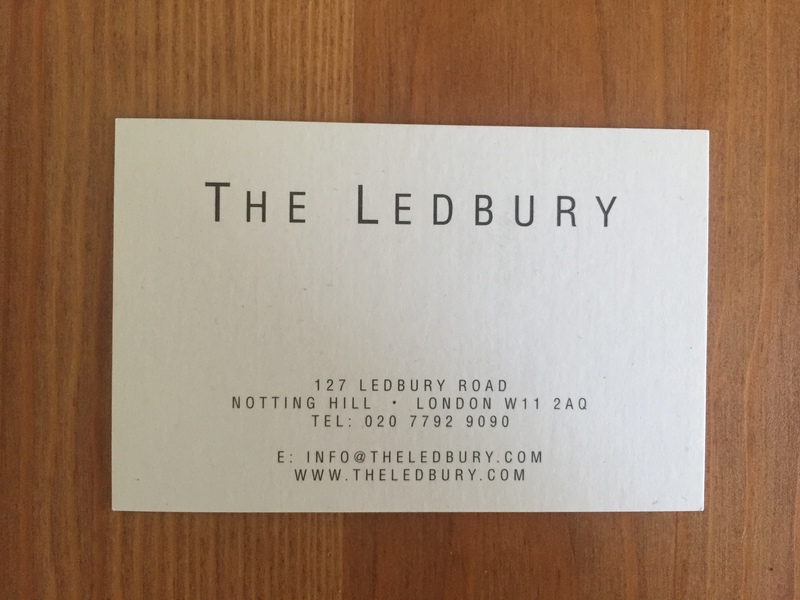 It’s been a while since we’ve had a bit of fine dining pomp (my favourite of all food to be honest) so we booked ourselves in for a Saturday lunch. Getting a table is still quite hard work FYI. The dining room was elegantly simple but beautiful; it was understated yet with all the glamour you might hope for. The place was packed too giving it a real buzzy (and often deafeningly loud) atmosphere. 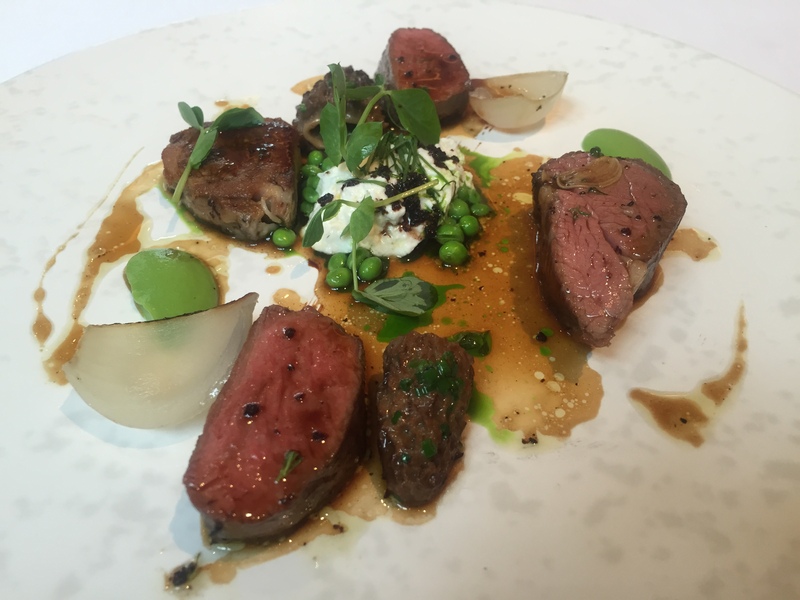 Three menus were available; an eight course tasting menu at £115, the a la carte at £85 or the four course set lunch priced at £50 per person. We opted for the latter. 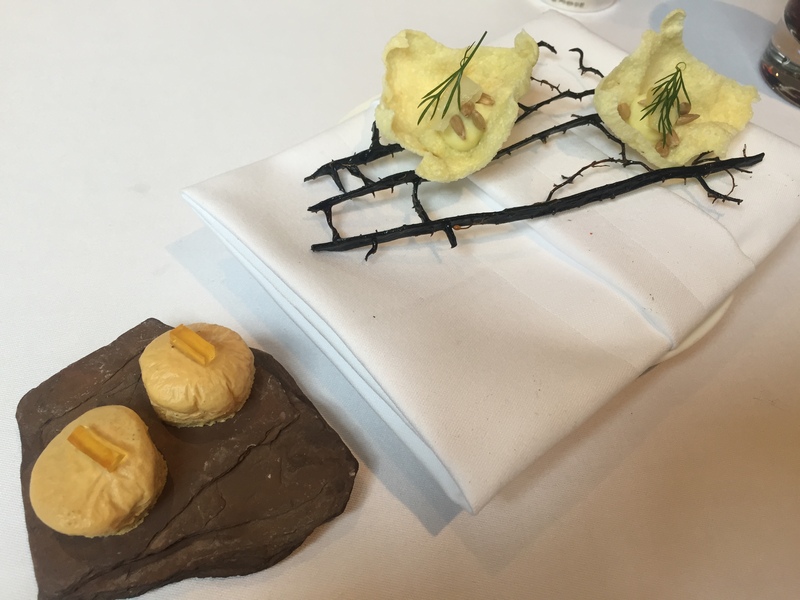 To start, a selection of lovely little nibbly bits; sunflower crisps with artichoke, a foie gras jelly which had a meringue-like exterior, Montiack dumplings and a small mound of white beetroot that encased the most glorious smoked eel. Very nice indeed. 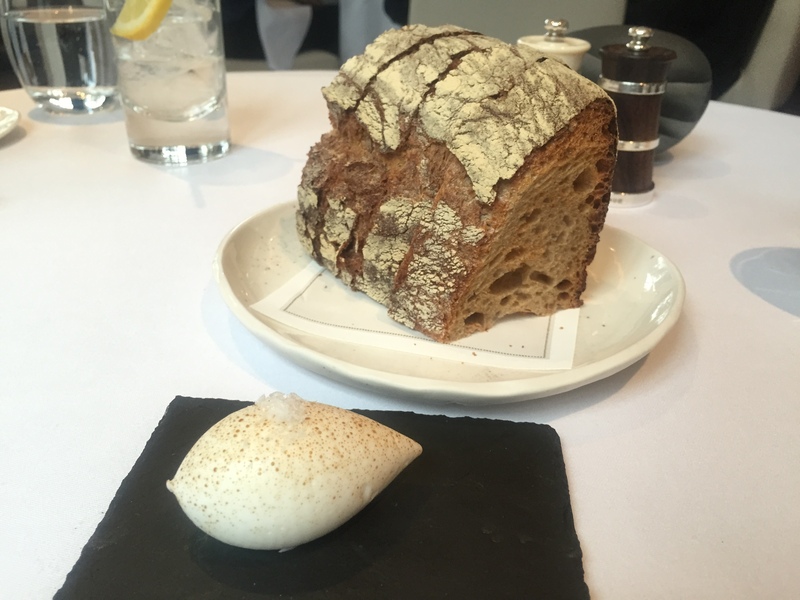 Bread was a bit plain Jane for me. If you’re going to offer just one type of bread then it should be perfect, here the crust was a bit overdone giving it a burnt flavour. 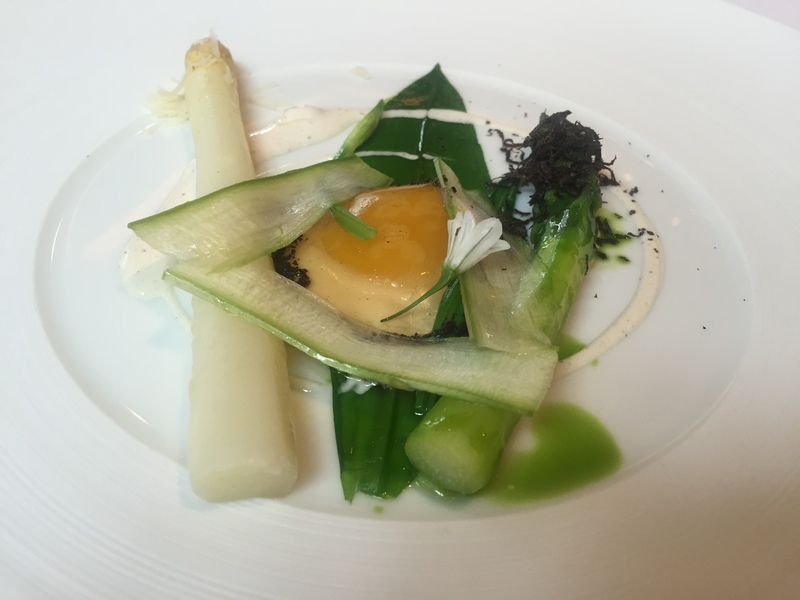 Our first course was asparagus, warm pheasant egg, wild garlic and truffle and it was absolutely divine. 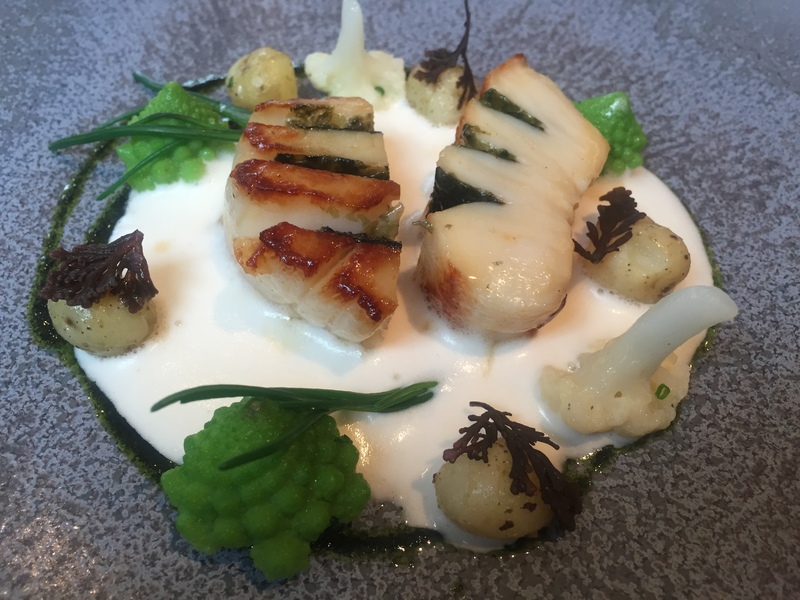 The white asparagus had an almost meaty flavour, like it had been poached for hours in something intensely wonderful. 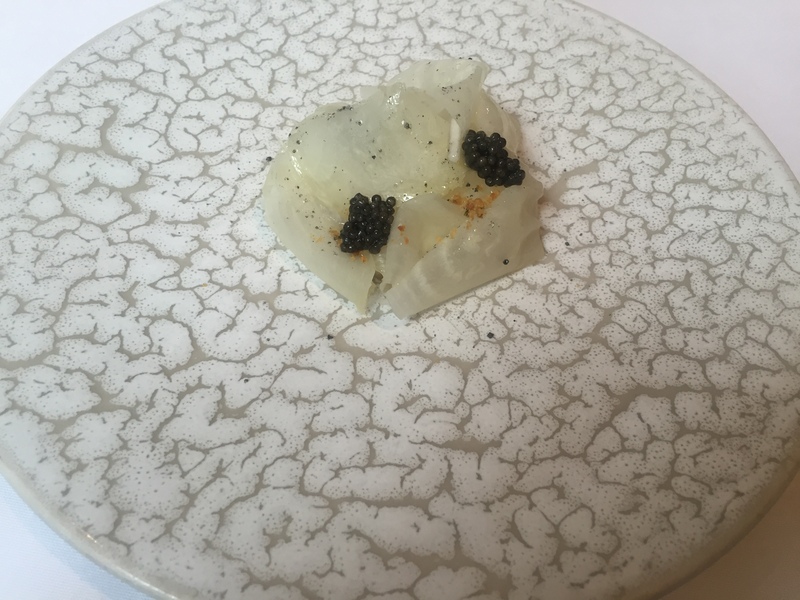 The mini fried egg was covered in a thin sheet of jelly which offered the merest hint of truffle; the balance of flavours was unlike any I’ve had before. Hand dived scallops were plump and juicy and filled with tiny sheets of nori (seaweed), adding to the seafood aroma. Teeny tiny little Jersey royals were seasoned and cooked perfectly. It really was a phenomenal dish. The Herdwick lamb was a generous portion to say the least, with more than enough meat to keep me busy. The dollop of ewe’s milk had an interesting and unusual taste as it wasn’t as sour as I expected. The morels were totally grit free (hoorah!) which is something you might expect from such a high end gaff but more often than not I always find gritty mushrooms. 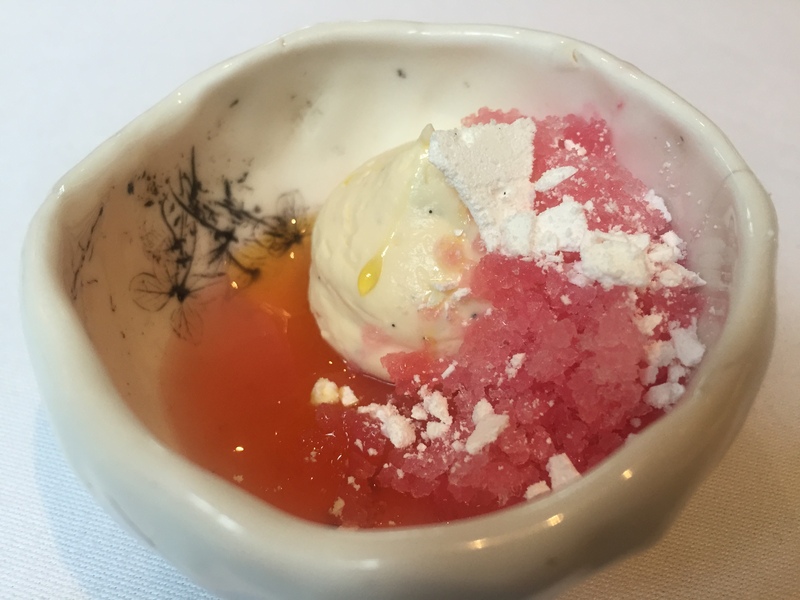 A little pre-dessert of rhubarb jelly and custard hit my sweet spot big time. Dessert was Richmond Park honey, buffalo milk, vanilla and thyme, the latter being a super strong element to the dish. I love herby puddings, if the balance between sweet and savoury is spot on, then it makes for a really intriguing mouthful. That was certainty the case here. The only thing that slightly let the whole thing down was the service. 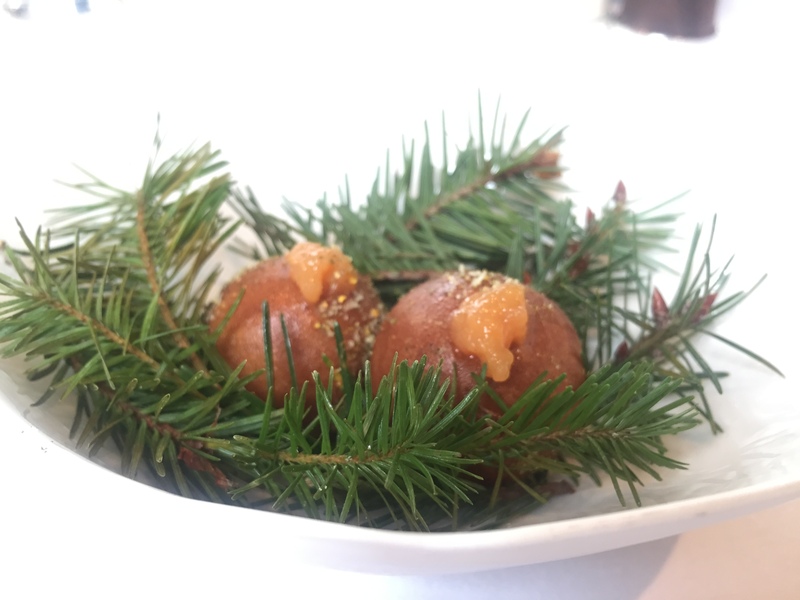 Other than a lovely chap whom we recognised from Kitchen Table and Fera, the rest seemed a little disinterested – like they were going through the motions. 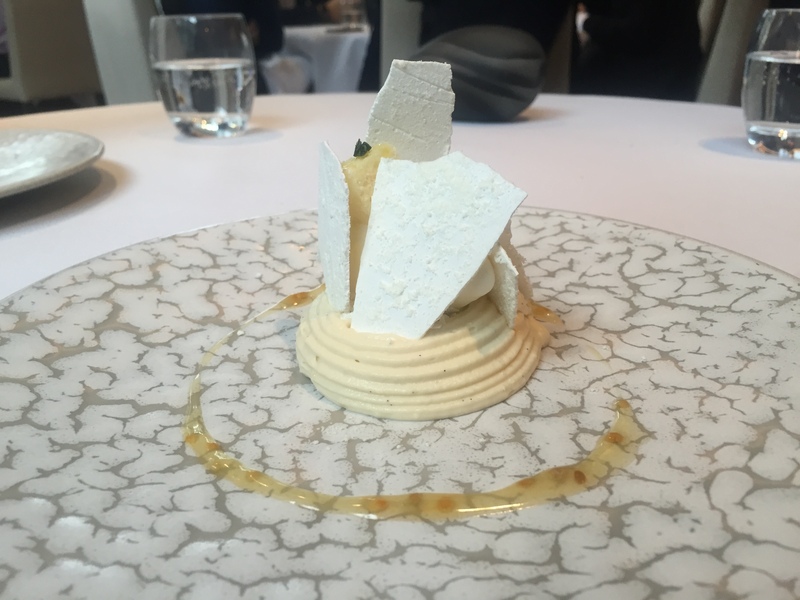 At times we felt a little unloved, and in a two michelin star restaurant you’d hope to feel quite the opposite. Either way, I can honestly say that meal gave me some of the tastiest food I’ve eaten in a long time. And that was just the set lunch menu, imagine the full tasting menu. Cor blimey.